Florida Army National Guard Readiness Center GIS Inventory & Integration | DRMP, Inc.
DRMP created a geo-referenced GIS database inventory with topographic data including subsurface utilities utilizing Spatial Data Standards for Facilities Infrastructure and Environment (SDSFIE) standards for the Florida Department of Military Affairs. DRMP surveyors established project sites on the Universal Transverse Mercator (UTM) 17N projection, assigning a WGS84 Datum utilizing Global Positioning Systems (GPS) and compiled the boundary, easements/lease agreements, and locating underground utilities to trace existing underground infrastructure. This information was merged with the surveyed above-ground utility features, such as valves, pull-boxes, utility poles, and overhead lines. 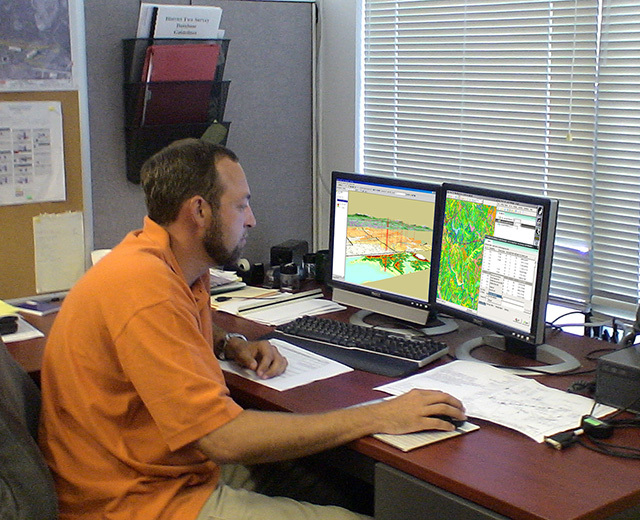 The data was then converted into AutoCAD drawings and into SDSFIE-compliant GIS databases. 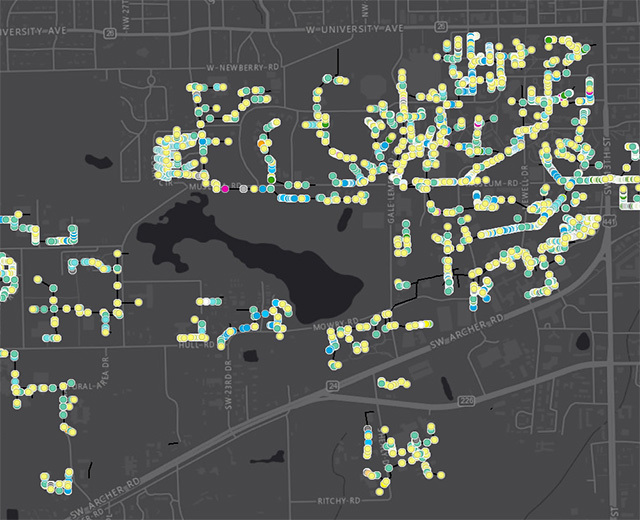 All of the above and below-ground survey features for each site were mapped in a UTM projection that would allow the Department to import data directly into existing Department of Military (DMA) geodatabases. The DMA received a deliverable that comprehensively mapped exterior/interior improvements for the project sites. 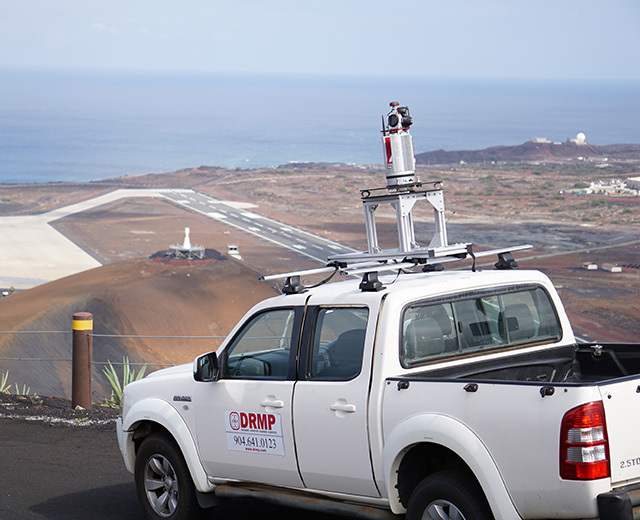 DRMP utilized the latest technology in laser scanning and GPR and provided a GIS deliverable in the format and complex data schema required by the client.